According to xbitlabs, the 1GB version of its Cayman based HD 6950 Graphic card is priced at $279. Advanced Micro Devices late on Monday announced the incoming of premium-class Radeon HD 6950 graphics board with reduced amount of onboard memory at $269 - $279 price-point as well as the massively factory-overclocked versions of its Radeon HD 6870 graphics cards. 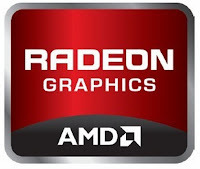 Various partners of AMD plan to release ATI Radeon HD 6950 graphics cards based on the Cayman graphics processing unit (GPU) with 1408 stream processors and featuring only 1GB of onboard GDDR5 memory, according to a statement of AMD. The new graphics cards will be available starting from mid-February and will cost $279 in the U.S.